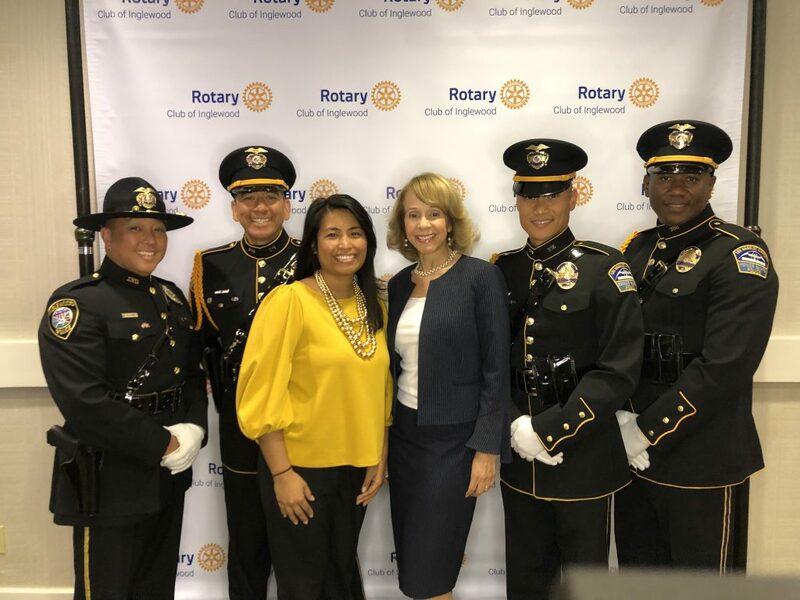 Last week we had the honor of being a sponsor for the 14th Annual 1st Responders Luncheon presented by the Inglewood Rotary Club. The event was to honor the brave men and women in uniform who not only serve LA County but all of the Golden State. These include the LA County Sheriffs, LAX Airport Police Dept, LA County Fire Dept, and lastly Cal Fire, the second largest municipal Fire Dept in the USA. There was a touching tribute to the men and women of that last organization in the wake of the devastating wave of wild fires we suffered through in California last year. Without their stellar efforts, many more lives, homes, and wildlife would have been lost. Thank you to all those brave men a women who work so hard to keep our communities safe! 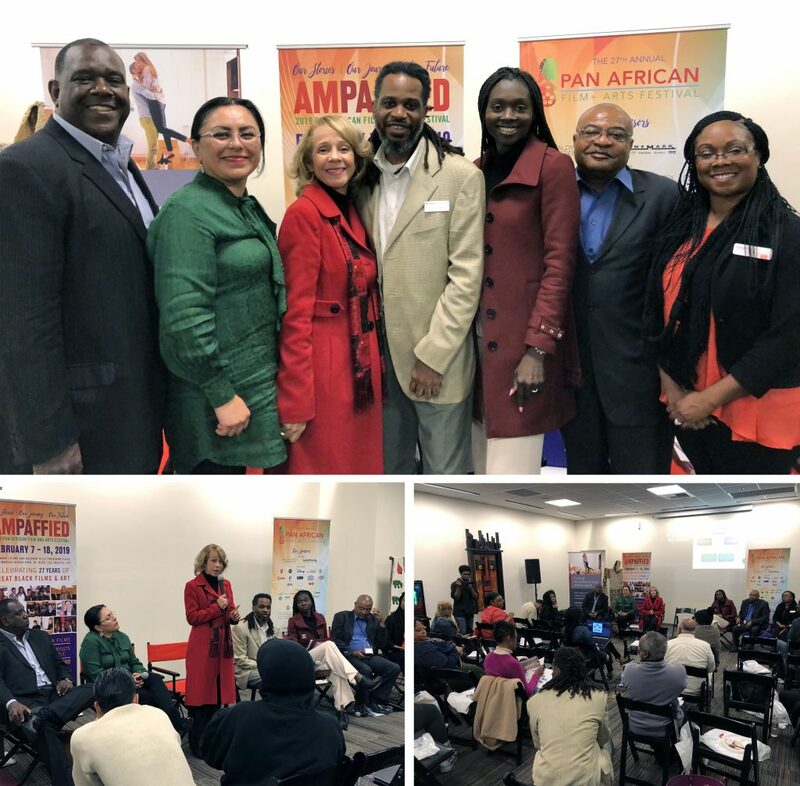 The Collins Law Group participated last night in a Home Buyers panel at the 2019 Pan-African Film Festival! People spend significant amounts of time, energy, and money to purchase real property in Southern California, and it often ends up being their most valuable asset. However, few people really take those final steps to make sure that asset is protected for themselves and their families. Sean Brown of Union Bank invited us to share our expertise on how creating an Estate Plan can help provide those protections and why it’s an essential part of the process! Big thanks to Mr. Brown and the rest of the panelists who participated for supporting community education on these important topics! 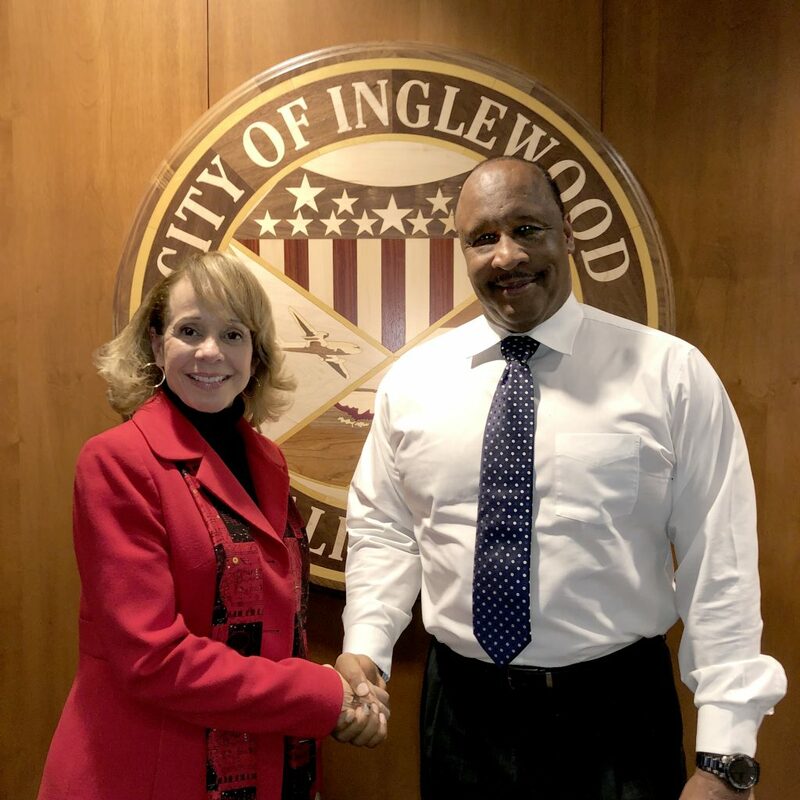 Had a wonderful meeting yesterday with the Honorable James T. Butts, Mayor of the City of Inglewood! We discussed the current state of affairs in our wonderful city and his grand plans to turn Inglewood into the premier Entertainment & Retail center in all of Southern California. We also discussed how the Collins Law Group could help residents preserve their family wealth and legacies with the added value and benefits that are surging into the community. We have offered Free Estate Planning workshops for City Employees to help them protect their legacies!  Big thank you and lots of support for our City’s fearless leader, Mayor Butts! 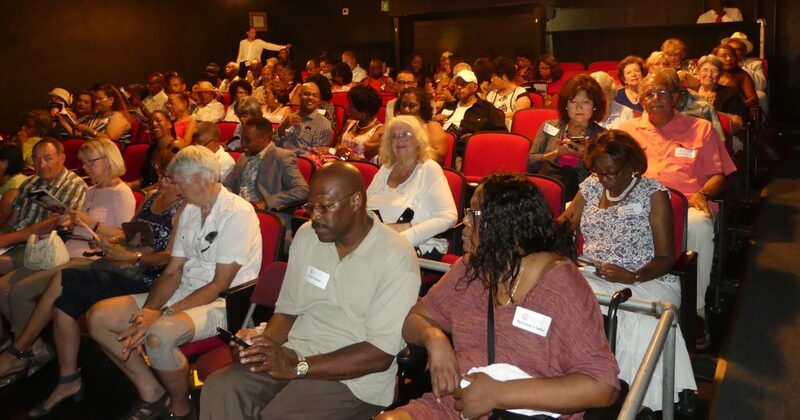 We gave a presentation over at Pacific Playa Realty in Westchester. Every homeowner needs to make sure their property is protected with a Living Trust, especially in California where we have some of the highest median home values in the whole country! We want to make sure that not only the general public, but also the professionals that help them acquire their most valuable assets to be educated on Estate Planning! Big shout out to broker Teresa Mack for inviting us to present to the realtors and their clients! Gave a brand new seminar today at the Inglewood Park Cemetery as part of their new Touchstones seminar series “7 Costly Estate Planning Mistakes” A big shout out to Rick Miller and the majestic Inglewood Park Cemetery for the invitation to collaborate and to educate the community on Estate & Funeral Planning. Giving Back to the Boys & Girls Club Of Long Beach is a Blast! Earlier this year, I attended a charity event sponsored by the Long Beach Boys and Girls Club. In the live auction, I won an afternoon boat trip with Chief Executive Officer Don Rodriguez and Emmy Winning actor Kim Estes! My husband, friends and I had a wonderful evening watching the sunset while touring the Naples canals in a private duffy boat. 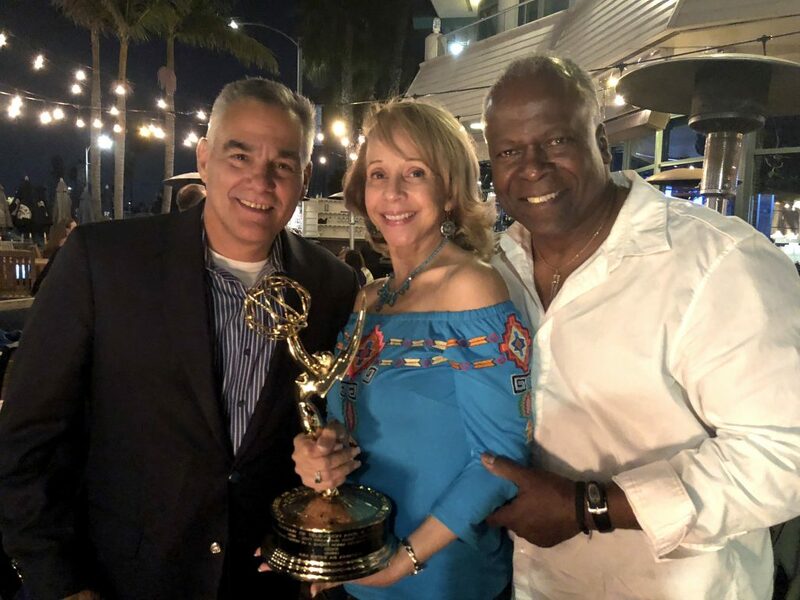 Afterwards, we enjoyed a delicious seafood dinner at the Boat House, while the whole restaurant marveled at the golden Emmy statue that was perched at the center of our table.  I was happy to support a wonderful organization which is doing great things in the community. I encourage everyone to give whatever money, time or energy to a worthy cause that helps serve our neighborhoods, communities, and the world as a whole. Many of my clients use there Estate Plans to leave charitable gifts for all sorts of organizations who they want to continue to support with the legacy they’ve left behind after they pass away. 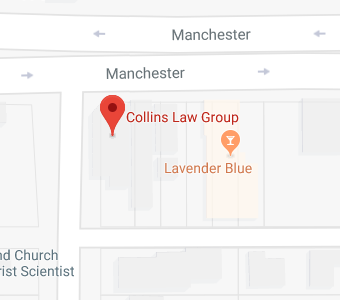 To learn more about how you can use your planning and legacy to not only benefit your family but worthy causes as well, please register to attend one of our free informational seminars: www.collinslawgroup.com/seminars. 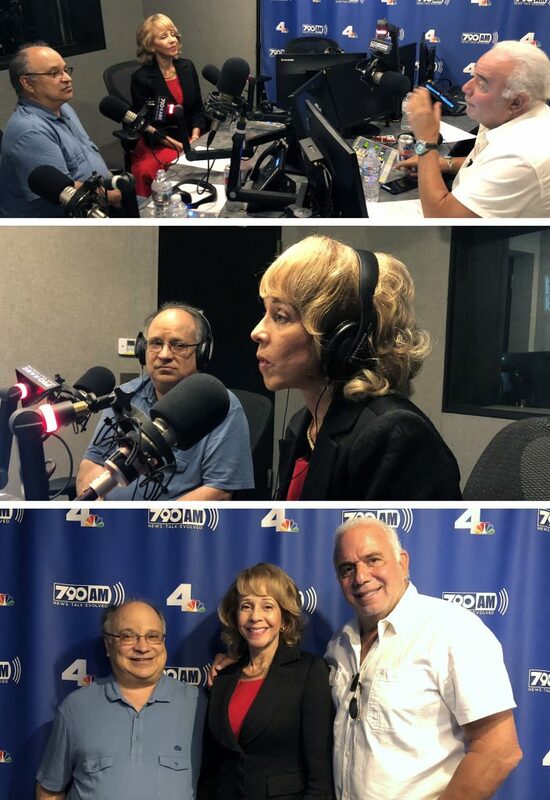 Spent a wonderful afternoon at KABC studios in Culver City recording a live radio broadcast with Stan Katzer for 790AM! Stan contacted our office after seeing the wonderful work we do educating the LA Community and asked if I would like to be on the show speaking about Estate Planning and answering questions from callers! 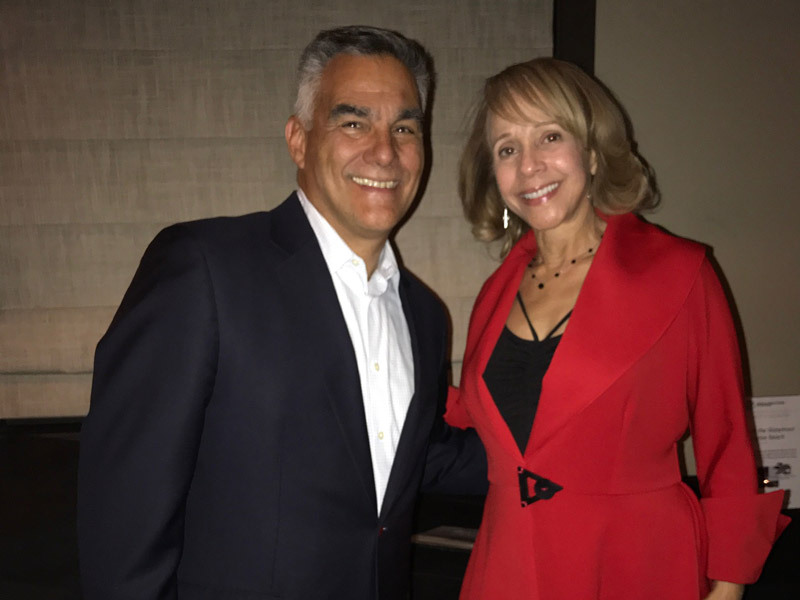 I had a great time with fellow guest and Family Law Attorney, Steve Gassner. The show will be broadcast this Sunday, September 16th at 12am and will be available on the KABC website! Check it out! Big thanks to Stan and KABC! 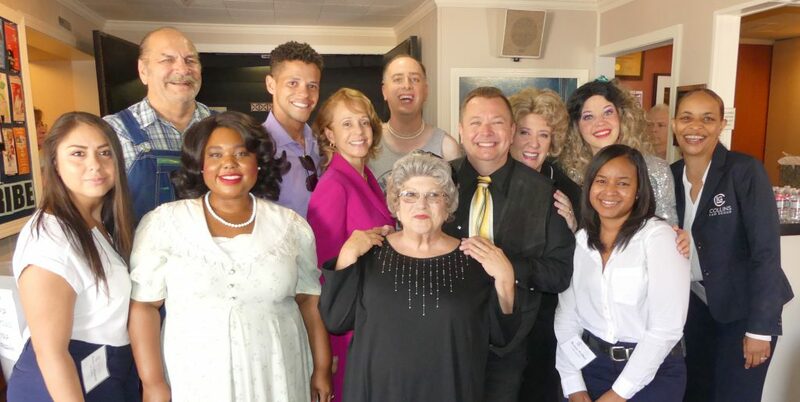 My clients, team and I had a marvelous time at the Westchester Playhouse watching a production of “Daddy’s Dyin’, Who’s Got the Will?” by the Kentwood Players. The production was wonderful, filled with laughs, heart and coincidentally dealt with issues of Estate Planning! We bought out the entire theater for the event and packed the house to the rafters. Our clients had a wonderful time. The cast even told us afterwards that we were the best and most enthusiastic audience they have had thus far! It was great to spend time with my clients and support one of the oldest and well-known community theaters in Los Angeles. 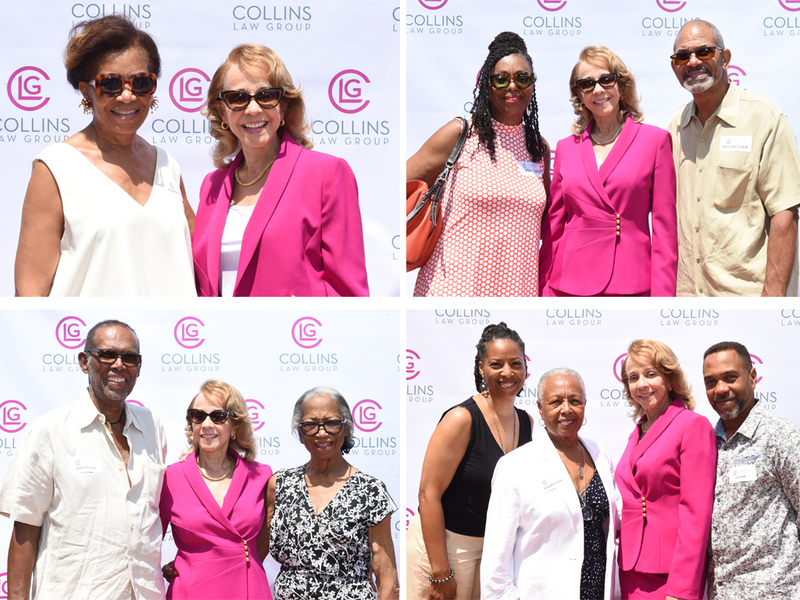 The Collins Law Group had a wonderful time on Saturday participating in Inglewood’s 1st Annual Successful Aging Fair at the City of Inglewood’s brand new Senior Citizens Center on Locust Avenue. This event was presented by the Inglewood Alumni Chapter of Delta Sigma Theta Sorority, Inc and the City of Inglewood. The facility is absolutely gorgeous and perfectly situated to enrich the lives of the many elders in the community. The fair had a terrific variety of elder care services and vendors. In attendance: Collins Law Group; New York Life; Wells Fargo; Rotary Club of Inglewood; AGA Medicare; City of Hope; Central City Community Health Care; The Senior Care Company and many more! Congratulations to all the companies who participated to support the comfort and education of our community elders. 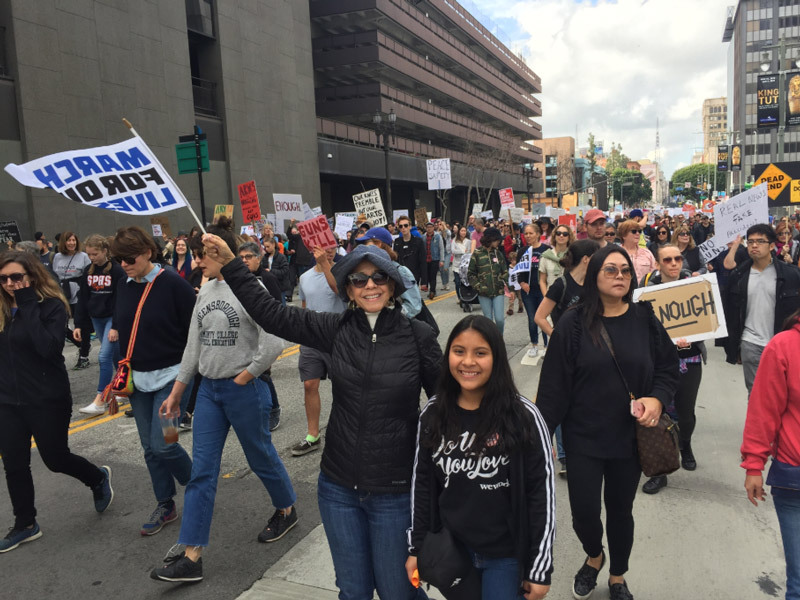 It was empowering to participate in the “March for Our Lives” last Saturday in Downtown LA. 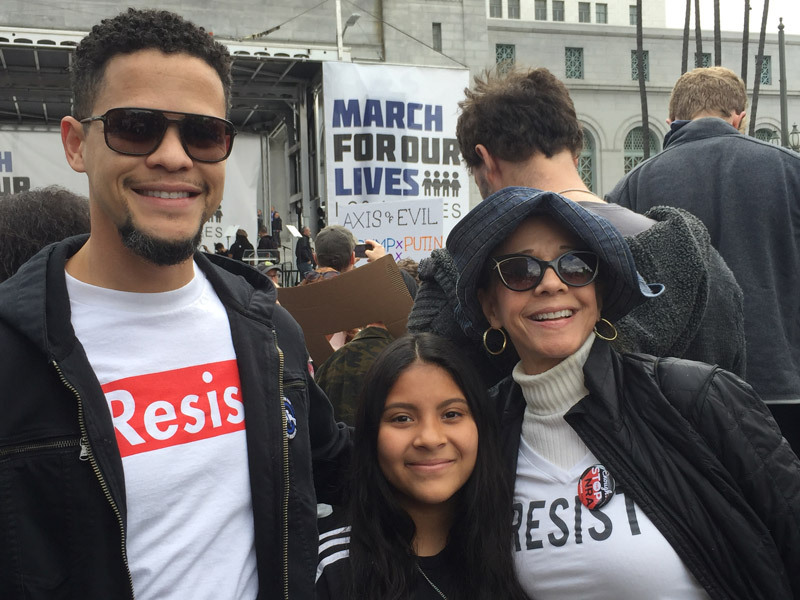 I was joined by my son Jason and my mentee Najely, who got her first experience with boots-on-the-ground social activism. Our Mayor Garcetti made a rousing speech to the crowd and we enjoyed spirited performances by QuestLove, Charlie Puth and Rita Ora. 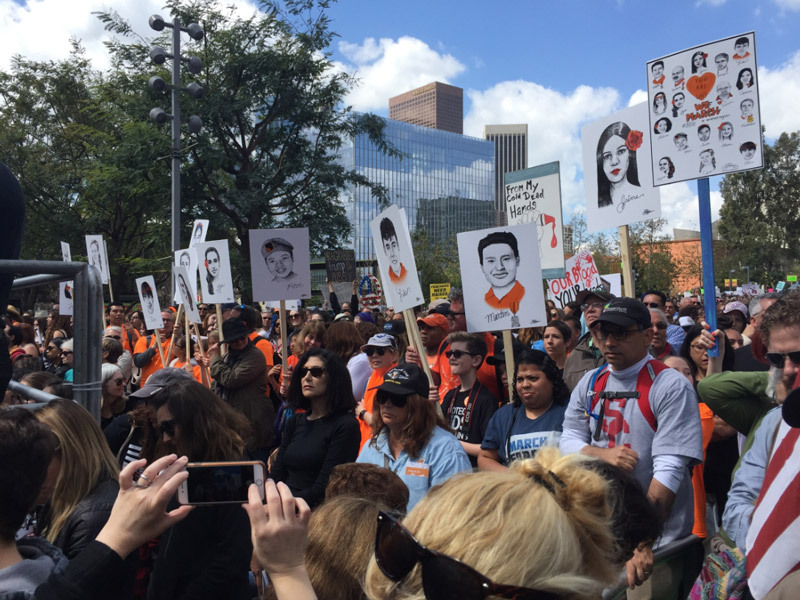 But the most touching and devastating sentiments came from the real life heroes: survivors from Majory Stoneman Douglas High School, Las Vegas, Columbine and LA children who have been personally affected by gun violence. 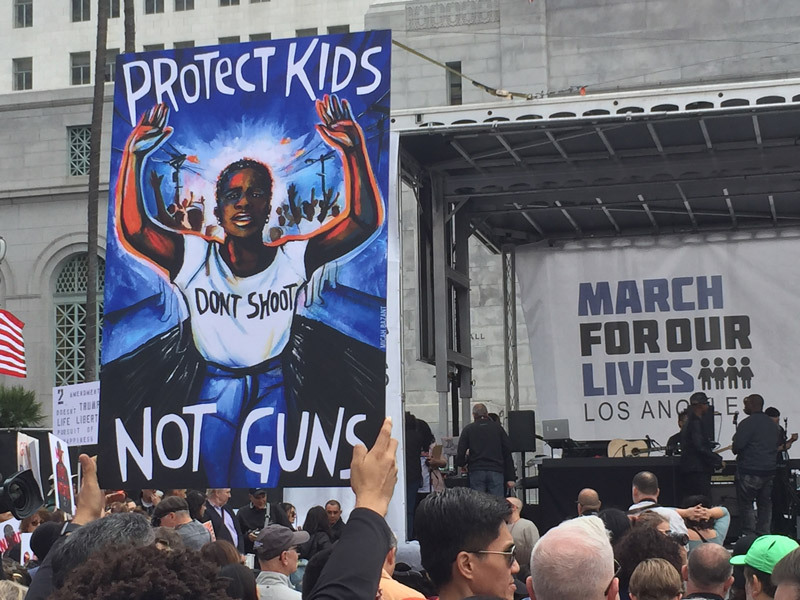 Gun violence is a continuing national tragedy. Everyone needs to wake up and do everything we can to support gun control legislation and keep the future of our country safe! Does your Estate Plan contain contributions to important causes near and dear to your heart? Mine does! “Giving Back” is a Blast! I enjoyed every minute of this year’s Jazz Night at Spaghettini’s! 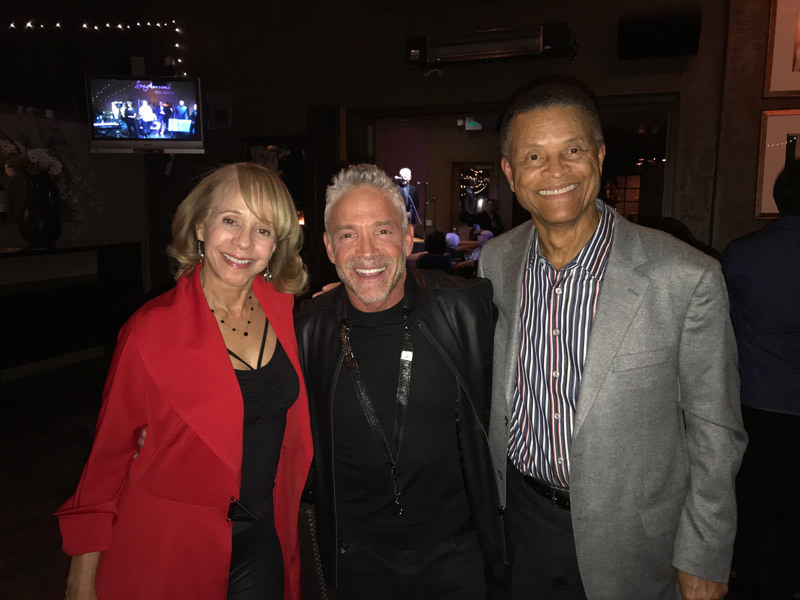 I had a wonderful time listening to the musical stylings of Dave Koz! 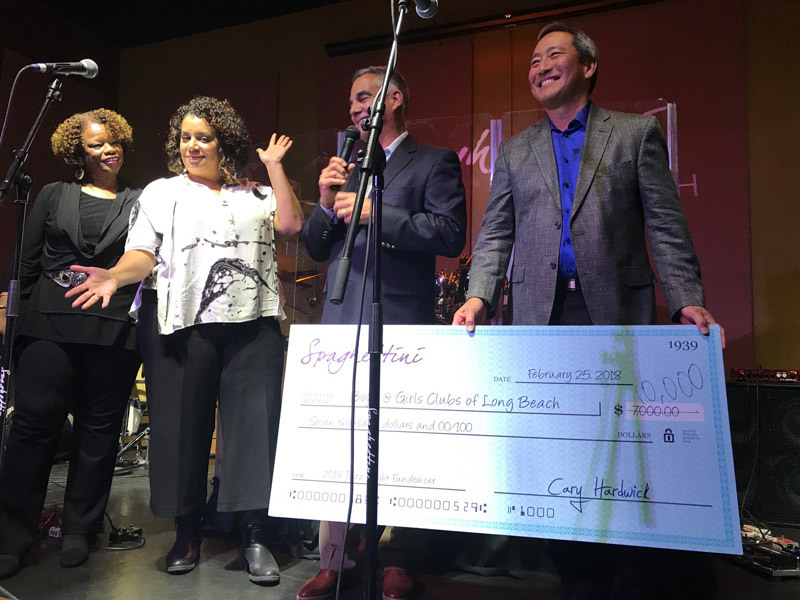 The event was sponsored by the Long Beach Boys and Girls Club. In the live auction, I won an afternoon boat trip with current HLN tv show host Micheala Pereira! I was happy to support a wonderful organization which is doing great things in the community! Listening to a smooth Jazz legend and supporting a worthy cause, pretty much a perfect evening in my book!